Mr. Burt is the Managing Director of Duff & Phelps (a provider of independent financial advisory and investment banking services). 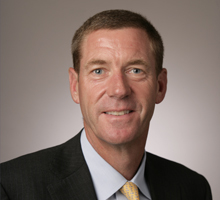 Mr. Burt is currently the leader of the firm’s Mergers and Acquisitions Advisory practice, as well as the President of Duff & Phelps Securities, LLC (a provider of merger and acquisition advisory services), and has been with the company since 1994. Mr. Burt has a B.S. in Finance from Indiana University and an M.B.A. in Finance from DePaul University. Mr. Burt is an NACD Board Leadership Fellow and serves on the Finance Advisory Board in the Driehaus College of Business at DePaul University. Mr. Burt has been a director of Regal since 2010.